View a project below or view all our mosaic project examples. 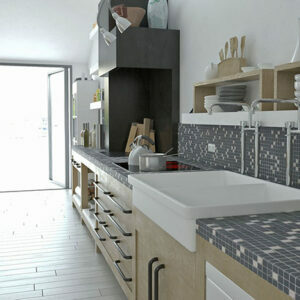 If you are looking to enhance your home to really put your personal stamp on it, why not try Mosaic Miro. The firm specializes in the development, production and mosaic wholesale of contemporary natural stone floor and wall finishes. You can improve either the internal or external appearance of your home, as the mosaic is suitable for both indoor and outdoor finishes. 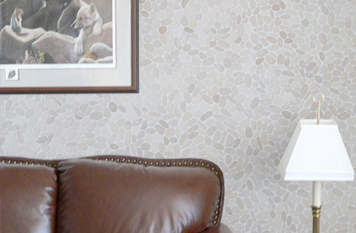 The special mosaic finish can be used to great effect in bathrooms, toilets and kitchens, but they can also transform living rooms, halls and bedrooms. Why not add the ‘wow’ factor to outdoor terraces or patios, garden paths or siding; Mosaic Miro is used in residential and commercial buildings, hotels and leisure complexes, but it is also used in nursing homes and offices. 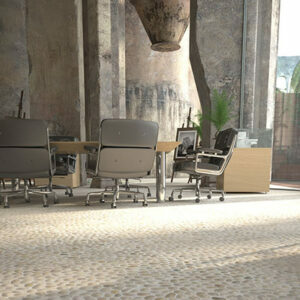 The Mosaic Miro has a distinctive look. The range of products gives you the opportunity to embellish your chosen project space in an attractive way to make it colourful and cheerful, or more dramatic. You could choose a finish to suit either a business or creative design, depending on your chosen style. 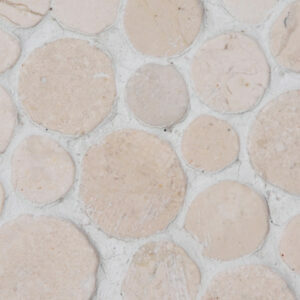 The original products are manufactured from high quality materials such as marble, lava, sand, limestone, onyx and basalt. 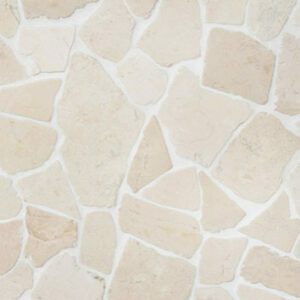 It is all natural stone, as old as the earth itself. The raw materials for the mosaic tiles are crafted manually and extracted from the mines in the west, centre and east of Java. The coloured pebbles are collected on the beaches and rivers in the corners of the archipelago. The stones are selected, sorted, processed and possibly pre-arranged in a special mould and then pasted onto mats. All this is done by hand, with particular attention to sustainability and social responsibility in an area where we can make a difference when it comes to employment. 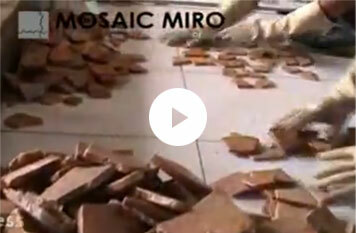 Mosaic Miro is a mosaic supplier with a large range of products. It presents a unique connection system where you can choose a particular pattern in which the mats are glued manually. This way you can create any design you desire. 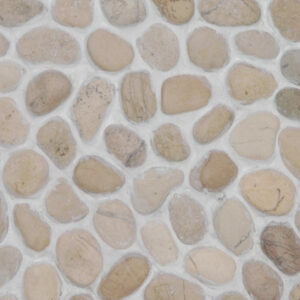 You can opt for the most beautiful pebble mosaic inlaid walls and floors without having recognisable seams or tile patterns. The application of this durable and weatherproof mosaic is unlimited, and you can be completely creative with the layout. 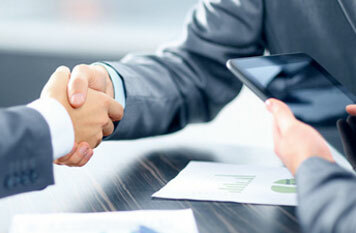 On our product page you will find an overview of our offer. There are beautiful pastel shades. Colours vary from light to dark, from ‘Biancone’ to ‘Silva Grey’, but there are also beautiful shades between light grey and cream available.